There are so many embroidery and free-motion quilting attachments to choose from so how do you sort through all the "claims to fame"? 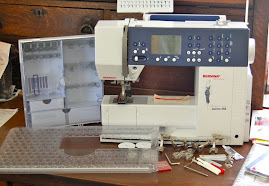 The first thing is to determine which one fits your specific sewing machine. What type of machine do you have and what is the shank? Is your machine a newer model or vintage machine? Next, determine how often you will be using it. 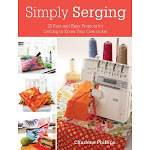 Do you quilt extensively, or occasionally? This may make a difference in the amount you wish to spend. Are you looking for an original vintage foot or a newer reproduction? 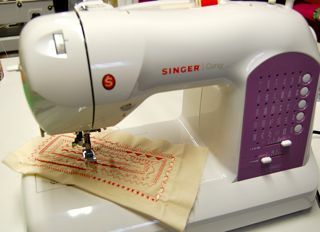 Lastly, decide which factors are important to you and your sewing. When buying online, has the seller used it and what are their honest thoughts? If you have done your homework and know what type of foot to buy, it doesn't matter who or where you get it. Go for the best price and shipping costs, of course! If you are unsure or a new quilter you might look for a seller who can give you additional honest information. If you need to insert a full size quilt under the foot, ask if there is enough clearance to handle it. If you are unsure of your machine shank, give them your make and model and ask. We have enough items accumulating in our sewing rooms without adding attachments that won't fit. Has the seller used it and on what machines? Do they use it themselves? Viewing area - Is it large enough to see the stitches and where I am going? When stippling I need to see my last design and have a nice view of my present stitches. Wide toe accommodates a zigzag stitch - Always good to have this option, especially when filling in or monogramming. Clearance under the foot - Is there enough room to slide a quilt under? Can I easily get my embroidery hoop under the foot? Is there a lever in the back to raise and lower the foot? For my low shank machines I look for something that is spring-loaded, allowing the foot to be raised temporarily while I insert the hoop or quilt. Control factor - Does the foot jerk or sew smoothly? I may have to rely on the seller's information or recommendation's from sewing friends. Attaches easily - I take my attachments on and off so much I certainly need this one! Yes, I am an attachment junkie and LOVE it! New vs. Vintage - I have several newer reproduction feet that I love to use. They meet most of my criteria fairly well and are usually at a reasonable price. They have a nice large viewing area and allow for the zigzag stitch. They either have a lever in the back to raise, or I can press up on the foot (raising it) while sliding my project under it. They attach with my thumbscrew and are off and on quickly. The control factor is the main difference I have found between using a new one and a vintage one. It is a little hard to describe this quality since it is one you actually feel, not see. 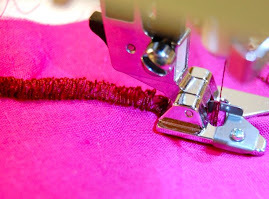 When I put an embroidery/free motion foot on and begin sewing I can tell whether it is going to move freely or jerk a little with my stitching. Every time I use a vintage foot, I can feel the difference. Try it. Take a new foot and attempt to do some free motion monogram. 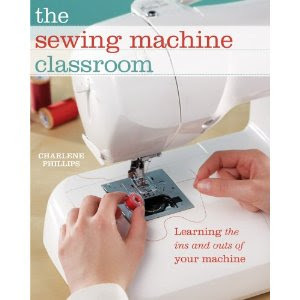 Just write with the sewing machine. Now, place a vintage foot on and do the same thing. For whatever reason, I find I can write much easier and without a huge learning curve with the vintage one. This is what I call "control". I have full control of the foot and the action is smooth. My stitches are ultimately more even, and the writing looks smoothly done. Since vintage attachments are harder to find, the price is going to be higher. This is one of those personal decisions you must make. Works on one machine and not the other - Yes, I have seen this within my own machine inventory (and I have a lot!). A new foot will free motion beautifully on one machine, while a little jerky on another. Can this be narrowed down to certain machine models and types? Unfortunately not. I have several Singer featherweights and they each behave differently. I just consider that part of their personality. The more you use the foot, the better your control will be and before long you shouldn't notice a huge difference. A fixed embroidery foot is just that - fixed in place. It doesn't have the ability to move up and down once placed on the machine. Works beautifully, but check the clearance under the foot. Can you get your project under it? There is a huge variety of types and styles available for you. Think about your personal preferences and what is most important to you. As with any new attachment, there is always a learning curve. Practice...practice...practice. When I think of my grandmothers, they didn't even use an attachment! They took the presser foot off and began quilting and monogramming. Can I narrow it down to one favorite? Not at all! For an attachment junkie, that is good news! I can have them all! Are there other styles than shown? Absolutely! and the wonderful part is we have new ones entering the market all the time! Just grab one (or two, or three) and have fun! 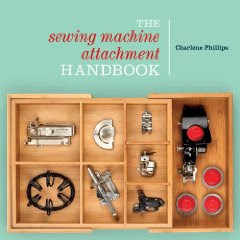 author of The Sewing Machine Attachment Handbook, published by Krause Publishing Co. 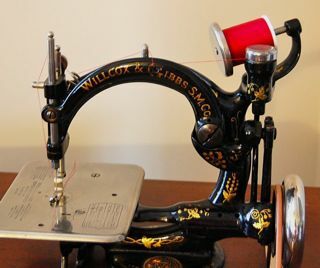 This seems like a strange question but I cannot figure out how to get hooped fabric under the presser foot for darning etc. Is there some special trick for this? Remove presser foot, put hooped fabric under needle, replace presser foot, pull up bobbin thread, lower presser foot, and begin sewing.